While on a family cruise last month, I realized how much I had let work and the busyness of life keep me from spending enough quality time with my family. It was so great to just hang out with them, and laugh and just have fun. Starting off this new year, my focus is to make more time for the people who matter the most. So far, so good. I am looking forward to a family movie night this August, when NINE LIVES the movie hits theaters. I have partnered with EuropaCorp, to share the teaser trailer for the upcoming film, NINE LIVES! 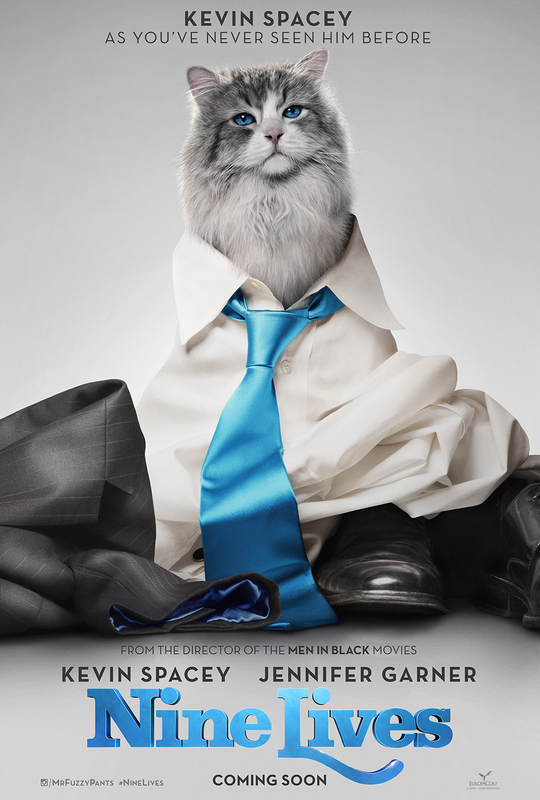 Starring Kevin Spacey, Jennifer Garner, Malina Weissman, Cheryl Hines, Christopher Walken and Robbie Amell, NINE LIVES is the story of a stuffy businessman, Tom Brand (Kevin Spacey), who finds himself trapped inside the body of his family’s cat. If any hope exists of returning to his family as the husband and father they deserve, Tom will have to learn why he has been placed in this peculiar situation and the great lengths he must go to earn back his human existence. Can you imagine being stuck as a cat until you can slow down and spend more time with family? It’s such a funny scenario, but one with a very important message. I think we all need a reminder from time to time to unplug and spend more quality time with family. 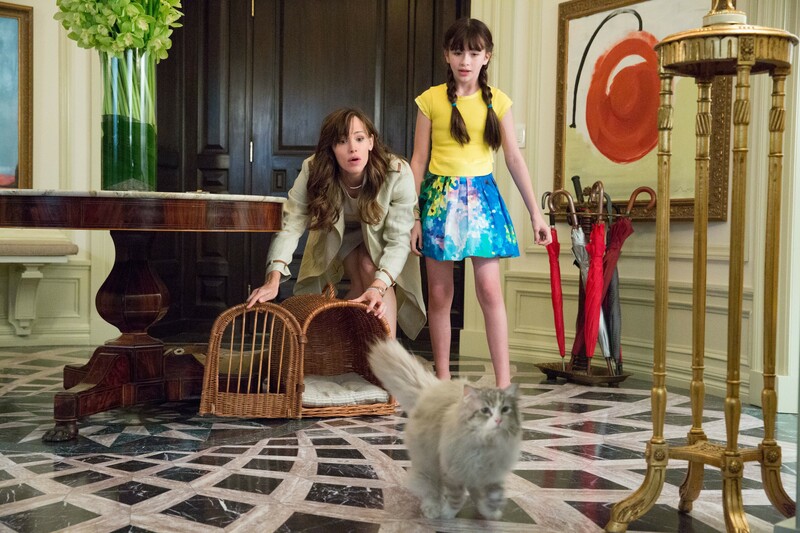 This must-see family movie NINE LIVES will be in theaters on August 5, 2016! I’m looking forward to it! This sounds like a super funny movie. I always liked that movie where the dad gets turned into a dog and I bet this one will be even better. Although I might be biased, as a cat person. This sounds like such a cute movie. 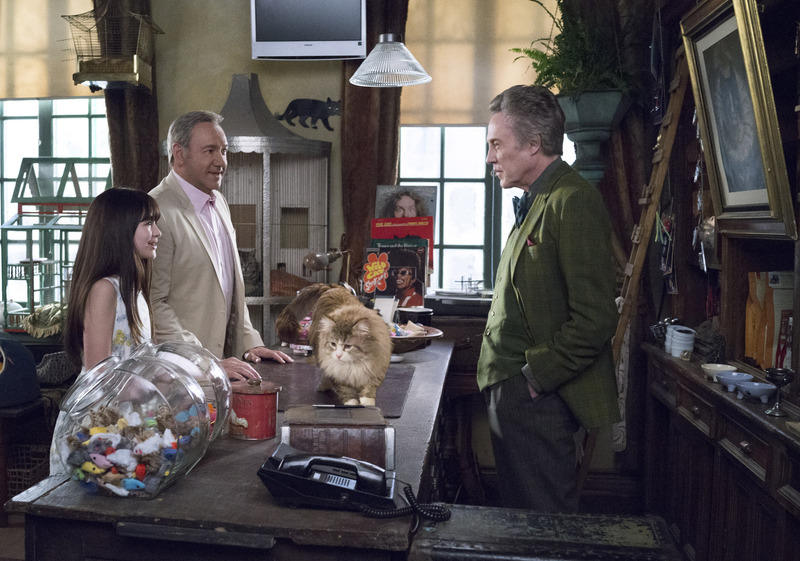 I love seeing Christopher Walken on screen and Kevin Spacey should be hilarious. This looks like it is going to be a great movie. I will have to play the trailer for the kids. This sounds like a fun movie. I would love to see this. The cat is truly a wonderful actor! I think it deserves an award or something. This movie should be interesting. This looks hilarious. I love Kevin Spacey too! Looks like this is going to be a good movie! I’d love to watch it with the family! With Kevin Spacey in the movie, this is going to be funny! I love Jennifer Garner so I have to add this to my list of movies to watch. Looks like a cute movie. I think the movie sounds so funny. I’d love to watch it with the fam. This looks like a great family friendly movie. I’m curious to see Kevin Spacey as a cat!